Samobor, a charming small town just north of Zagreb, is most famous for two things. 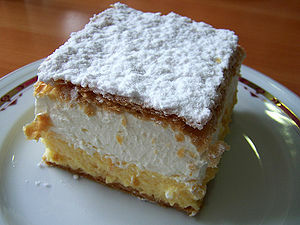 First would be kremšnite, custard cream cake dessert. Prepared according to recipe from 1950, it is undisputedly one of top three Croatian desserts. And while there are many variations of kremšnita around the country and beyond, nothing really comes close to one made in Samobor. The other one has even longer tradition. Carnival in Samobor brings together thousands of people masked as thousand different characters, fictional and real, dead or alive, historical and relevant. Hundreds of carnival groups from the country and abroad present their ideas in a fun and innovative way, rounded up by extremely rich programme organized by the town. It is not completely clear when the first Carnival occurred, but first one stated in official writing was in late 1827. Soon after, residents started enriching this event with elements such as Fašnik wheel which described current social and political happenings in a usually satirical tone, and it still exists today. 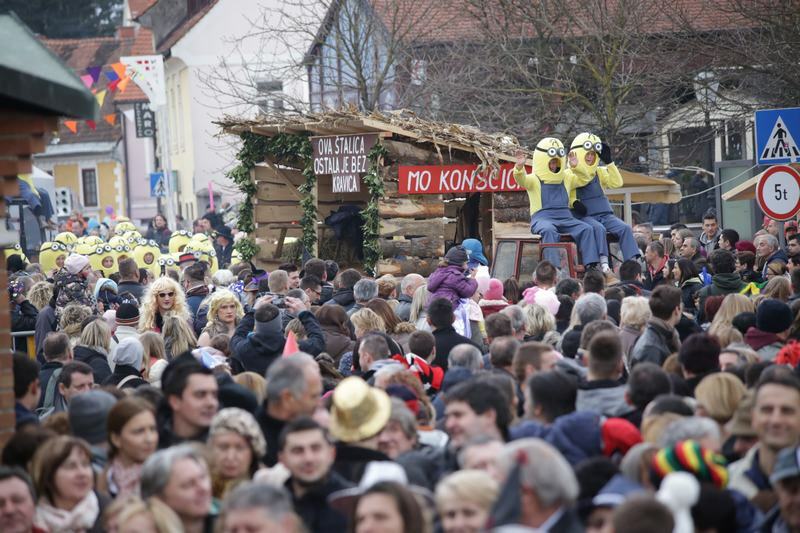 However, Samobor Carnival (aka Samobor fašnik) is “ruled” by the Prince of Fašnik for the duration of Carnival, but he is accused of bringing all the negativity to Samobor and will be put on trial. Old saying has it that his sentence by the Fašnik judge grants a prosperous year ahead. Will he be sentenced and burned this year? Samobor Carnival 2017, culminating this Saturday and Sunday (25. and 26. of February) will be visited by more than 3000 kids and thousands of others dressed as popular and unpopular characters. It is filled with dancing, laughter and joy that lasts until early hours of the next day. This amazing event is held just half an hour from Zagreb, as Samobor enters Zagreb metropolitan area. Use Hotel’s car service and have an unforgettable time in this tiny but picturesque town.